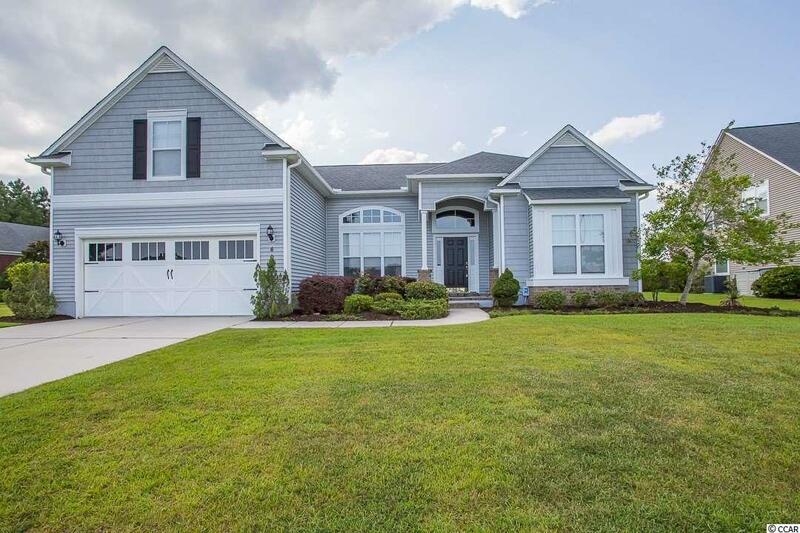 Magnificent 4BR-4.1BA home in the sought after Berkshire Forest community in Carolina Forest! You will be impressed from the start with the extensive landscaping to the fenced backyard with a pool, to the lake view, to the 2 master suites and all the interior upgrades. The open floor plan includes a large living room with fireplace and built-in shelving, a formal dining room and a Carolina room. Off the foyer is an office/den with additional built in shelving. The kitchen features granite counter tops, upgraded back splash, work island, maple raised panel cabinets, pull out trays in cabinets, under cabinet lighting, breakfast nook and pantry. One of master bedrooms has a 2 tray ceiling, crown molding and ceiling fan. You will love this master bath, it has an over-sized shower, two separate vanities and extra shelving. The fenced backyard has an extended patio covered by a pergola that leads to an amazing pool. Additional upgrades are: irrigation with separate water meter, gas line to grill, 4ft garage extension, out door speakers with premium music system, central vacuum, security system. Make an appointment to see it today!